The rolling gait of the camels is hypnotic. At daybreak, one caravan casts long shadows over the sand, painted orange by the sun, while another treads slowly across the distant dunes. 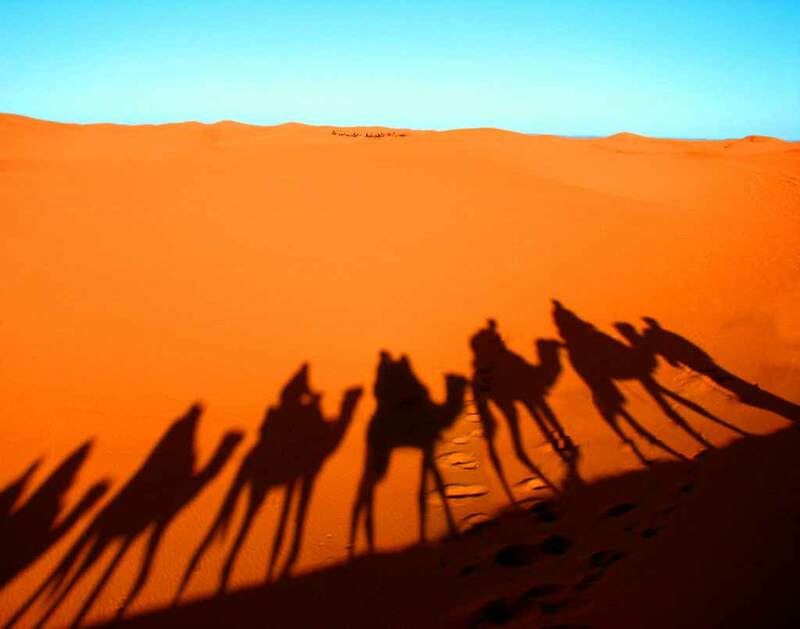 Camel trekking is one of the favorite activites in the Sahara. The camel steps forward with both legs on the same side, much like the giraffe, creating the rolling movement. Single-humped camels of Arabia and Northern Africa are called dromedary. Erg Chebbi, Morocco's largest dunefield, has some of the most expansive erg (sand seas) of the Sahara. It is near the tiny village of Merzouga.